P.S. 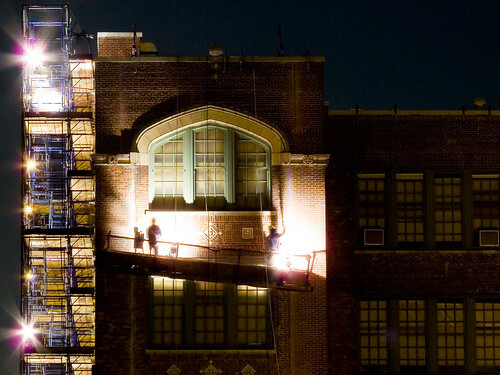 70, an elementary school on 42nd street here in Astoria, is receiving a facelift, general maintenance, and repairs to its roof. Building inspectors have recommended a series of minor repairs to the structure, and 2009 being a local election year, all the project works are being worked on in tandem concurrence. So as not to disturb classes during the day, all the work is being done after dark, beginning at 4PM and ending at 11PM- as observed. Omnipresent is its sound, as is my kvetching about it. Undoubtedly- the availability of Federal Stimulus monies hurried the normally glacial pace of city services in initiating the project, but the work is vulnerable to weather events- especially high winds- and performing it in winter will prolong the ordeal. 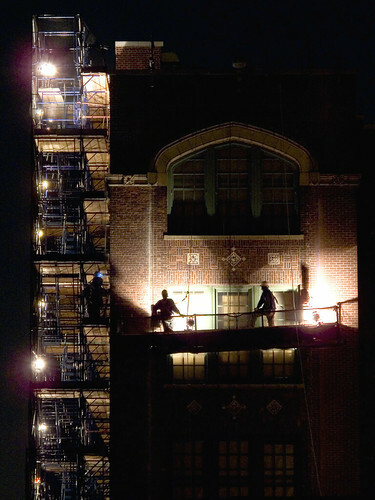 On most nights, the sound of masonry drills and other high speed equipment broadcast along the rooftops, manifesting an inescapable staccato of high pitched grinding which reminds me of childhood trips to a certain Percocet addled dentist that my family insisted on using. The sound penetrates through the walls of my nonagenarian Matthews Model Flat, causing no end of discomfort to Zuzu, my little dog. Of course- the needs of the many outweigh the needs of the few, or the one, as Spock said (or will say), and at least the work stops at 11. The Lt Joseph Petrosino School serves 1,139 students from pre kindergarten through 5th grades. Hispanic children make up 44% of the student body, 33% are White, almost 22% are Asians and the remaining 2% are Black. More than two-thirds of this year’s students are English language learners, an 18% increase from last year for this group. Most newly enrolled second language students have arrived from Bangladesh, Pakistan and Mexico. There are self-contained English as second language classes at kindergarten, and ingrades 1, 3 and 4, with two in the 2nd grade. In addition, there is one Spanish bilingual class, in both kindergarten and 1st grade. Approximately 9% of enrolled students are special education students, with 4% of these in self-contained classes in grades 2 and 5. The remaining 5% of special education students are in collaborative team teaching classrooms in kindergarten and 1st grades, or are in general education classes and receive support from resource room specialists. There are top classes in grades 1 through 5.Classes are housed in the main building, a mini school and two transportable units, which are all adjacent. School attendance is 94.6%, which is 2.5% above that of similar schools and 1.8% above City schools. This is a Title 1 school with almost 82% of the students being eligible, slightly less than similar schools but almost 10% above the City school average. As I stared into the vast abyssal plain of my soul last night, contemplating exactly what’s wrong with me- and what motivation I might have for spending all my time hanging out in and photographing cemeteries lately- a sudden peal of cheerful music rose from the hidden backyards of these Matthews Model Flats here in moon kissed Astoria. It drew me out, onto the fire escape. Then I came back in for my camera. Sorry for the shaky video, but this was so weird. The whirring and buzzing sound in the second video is a guy on the next block working on his house. The Empire State Building is a 102-story landmark Art Deco skyscraper in New York City at the intersection of Fifth Avenue and West 34th Street. 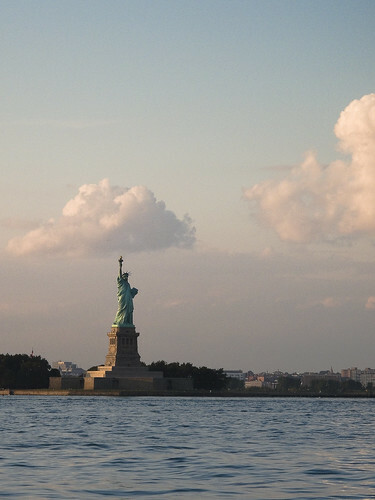 Its name is derived from the nickname for the state of New York. It stood as the world’s tallest building for more than forty years, from its completion in 1931 until construction of the World Trade Center’s North Tower was completed in 1972. Following the destruction of the World Trade Center in 2001, the Empire State Building once again became the tallest building in New York City and New York State. The people buried here arrived in and encountered a very different city- a divergent concept of a city- than the one we imagine. They were fleeing religious war and famine, and even the hazardous journey to an unknown country was better than staying where they were. The first surge of them was Catholic, they came from Poland, Germany, Italy, and like that newsboy from South Street – Ireland. Before the Civil War, New York was ruled by the “knickerbockracy“, a social elite who were labeled “the 400” by Samuel Ward MacAllister. 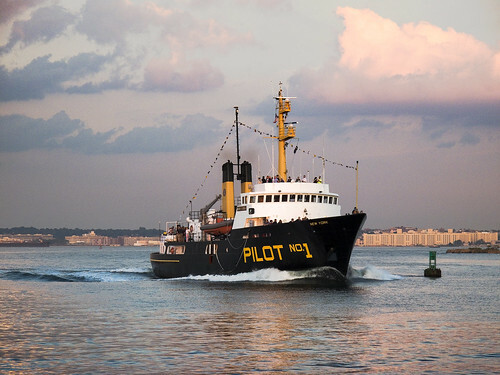 Greedy poor and useless, immigrant mouths to feed were dumped by the courts of Europe on New York’s docks, where they instantly took to crime and profligacy. The dregs arrived like ocean waves, and the disgusted Anglophile and Dutch elites saw to it that these wretched masses would be excluded from power and opportunity in the protestant republic. The Empire State Building was designed by William F. Lamb from the architectural firm Shreve, Lamb and Harmon, which produced the building drawings in just two weeks, using its earlier designs for the Reynolds Building in Winston-Salem, North Carolina, and the Carew Tower in Cincinnati, Ohio (designed by the architectural firm W.W. Ahlschlager & Associates) as a basis. Every year the staff of the Empire State Building sends a Father’s Day card to the staff at the Reynolds Building in Winston-Salem to pay homage to its role as predecessor to the Empire State Building. 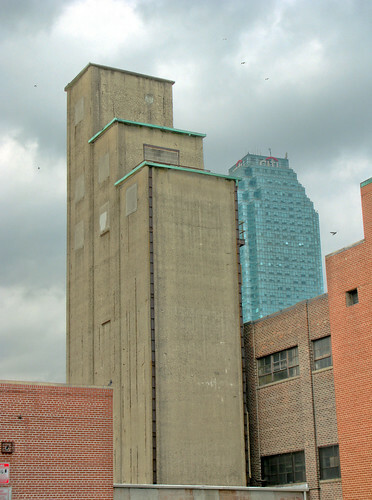 The building was designed from the top down. 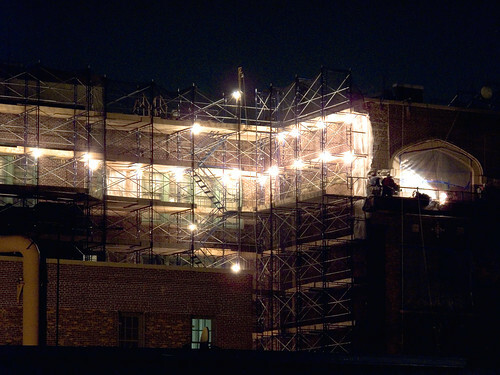 The general contractors were The Starrett Brothers and Eken, and the project was financed primarily by John J. Raskob and Pierre S. du Pont. Ethnic associations formed amongst the new immigrants, who were victimized by discriminatory policies of government and racial prejudice. One of these ethnic clubs began political organization amongst the immigrant grass roots, and registered voters began to appear in the river front slums, and especially in the Five Points in Manhattan. Tammany Hall (Founded May 12, 1789 as the Tammany Society, and also known as the Society of St. Tammany, the Sons of St. Tammany, or the Columbian Order), was the Democratic Party political machine that played a major role in controlling New York City politics and helping immigrants (most notably the Irish) rise up in American politics from the 1790s to the 1960s. It usually controlled Democratic Party nominations and patronage in Manhattan from the mayoral victory of Fernando Wood in 1854 through the election of John P. O’Brien in 1932. Tammany Hall was permanently weakened by the election of Fiorello La Guardia on a “fusion” ticket of Republicans, reform-minded Democrats, and independents in 1934, and despite a brief resurgence in the 1950s, it ceased to exist in the 1960s. Impeachable offense was just part of doing business back then, and the ethnic associations could muster significant and reliable turnouts on election day for whoever was willing to pay. Soon, the associations began to congeal into ethnic blocks. The largest one of them all was called Tammany Hall, and it began to pick its own people to run for office instead of supporting the landed gentry or the degenerate Dutch. Despite occasional defeats, Tammany was consistently able to survive and, indeed, prosper; it continued to dominate city and even state politics. Under leaders like John Kelly and Richard Croker, Charles Francis Murphy and Timothy Sullivan, it controlled Democratic politics in the city. Tammany opposed William Jennings Bryan in 1896. In 1901, anti-Tammany forces elected a reformer, Republican Seth Low, to become mayor. From 1902 until his death in 1924, Charles Francis Murphy was Tammany’s boss. In 1927 the building on 14th Street was sold. The new building on East 17th Street and Union Square East was finished and occupied by 1929. In 1932, the machine suffered a dual setback when Mayor James Walker was forced from office and reform-minded Democrat Franklin D. Roosevelt was elected president of the United States. Roosevelt stripped Tammany of federal patronage, which had been expanded under the New Deal—and passed it instead to Ed Flynn, boss of the Bronx. Roosevelt helped Republican Fiorello La Guardia become mayor on a Fusion ticket, thus removing even more patronage from Tammany’s control. La Guardia was elected in 1933 and re-elected in 1937 and 1941. He was the first anti-Tammany Mayor to be re-elected and his extended tenure weakened Tammany in a way that previous “reform” Mayors had not. That boy from the South Street water front, who watched as the East River Bridge being built, lost his father at age 13. He left school and went to work, first at an oil company and later at the Fulton Fish Market- which netted him the astounding salary of $15 per week. He developed a certain celebrity in the 4th ward because of his good fortunes, and came to the attentions of the Tammany men, who discovered a certain “likeability” in him. Built during the Depression between 1930 and 1931, the Empire State Building became the world’s tallest office building — surpassing the Chrysler Building by a whopping 204 feet. The design of the building changed 16 times during planning and construction, but 3,000 workers completed the building’s construction in record time: one year and 45 days, including Sundays and holidays. 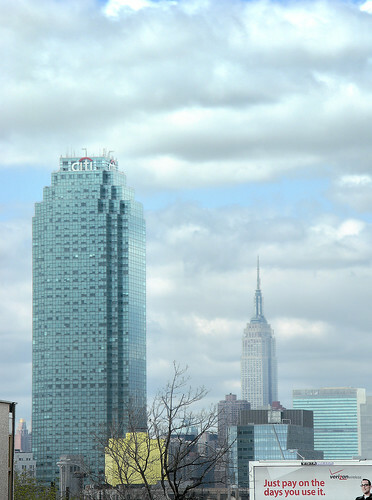 The Empire State Building is composed of 60,000 tons of steel, 200,000 cubic feet of Indiana limestone and granite, 10 million bricks, and 730 tons of aluminum and stainless steel. By 1895, the young man was appointed a clerk to the Commissioner of Jurors and was noticed by Thomas F. Foley- the boss of Tammany. Shortly, He was an assemblyman in Albany, and spent 12 years gathering patronage and clout in the capital of New York State. By 1913, he had become Speaker of the House and the most influential man in Albany. As a reward for his services, Tammany appointed him Sheriff of New York, a lucrative position in those days. By 1918, He was elected Governor of New York State and came to national prominence during his 4 terms in office. In 1928 he ran for President of the United States, this Irish kid from South Street, and a young Franklin D. Roosevelt was honored with placing his name before the convention. He lost to Herbert Hoover, whose many supporters publicly voiced concern about the Tammany contagion spreading into Washington and across the nation. In 1932, he lost the nomination of his party to Franklin D. Roosevelt. Horses were used for transportation in 1900, as they had been throughout the history of the city. There were 200,000 of them in the city, producing nearly 2,500 short tons (2,300 t) of manure daily. It accumulated in the streets and was swept to the sides like snow. The smell was quite noticeable. Introduction of motor vehicles was a profound relief. The municipal consolidation would also precipitate greater physical connections between the boroughs. The building of the New York City Subway, as the separate Interborough Rapid Transit Company and Brooklyn-Manhattan Transit Corporation systems, and the later Independent Subway System, and the opening of the first IRT line in 1905 marked the beginning of what became a force for population spread and development. The Williamsburg Bridge 1903 and the Manhattan Bridge 1909 further connected Manhattan to the rapidly expanding bedroom community in Brooklyn. The world-famous Grand Central Terminal opened as the world’s largest train station on February 1, 1913, replacing an earlier terminal on the site. 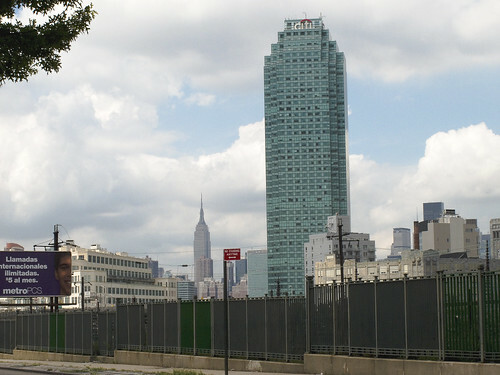 It was preceded by Pennsylvania Station, several blocks to the south. These years also saw the peak of European immigration and the shifting of that immigration from Western Europe to Southern and Eastern Europe. On June 15, 1904 over 1,000 people, mostly German immigrants, were killed when the steamship General Slocum caught fire and burned in the East River, marking the beginning of the end of the community in Little Germany. 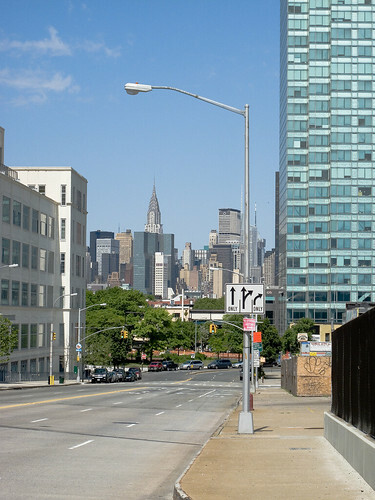 The German community was replaced by growing numbers of poorer immigrants on the Lower East Side. On March 25, 1911 the Triangle Shirtwaist Factory fire in Greenwich Village took the lives of 145 mostly Italian and Jewish female garment workers, which would eventually lead to great advancements in the city’s fire department, building codes, and workplace regulations. Disgusted with politics and betrayed by the last of the Knickerbocker elite, the newsboy governor turned to private business. Amongst other ventures, he became president of that company which would construct the Empire State Building at the height of the Great Depression. One or two of his friends also came in on the venture. That iconic structure is located, incidentally, on the former site of the original Waldorf-Astoria Hotel– a regular haunt and preferred meeting place for the elite “four hundred”. As Governor, this Tammany man rewrote the labor laws after the Triangle Shirtwaist fire and, oversaw the creation of much of modern New York. As a private citizen, he used his extensive patronage and political muscle to build the Empire State Building in an astounding 410 days. President Herbert Hoover cut the ribbon on opening day, however. His name was Alfred E. Smith. Al the happy warrior to his constituents. 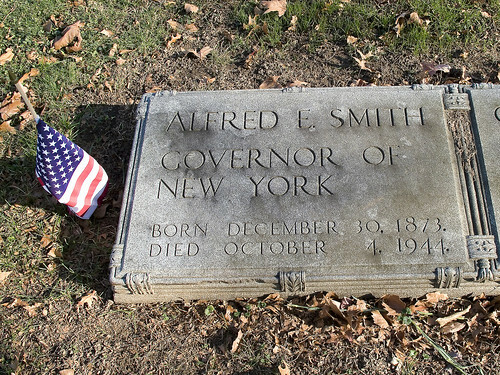 Governor Smith died October 4, 1944 at 6:28 AM. Click here to listen to a history.com audio file of Al Smith speaking “on New York”. Click here to access a google map with the actual location of the monument, which doesn’t seem to exist anywhere else on the web. 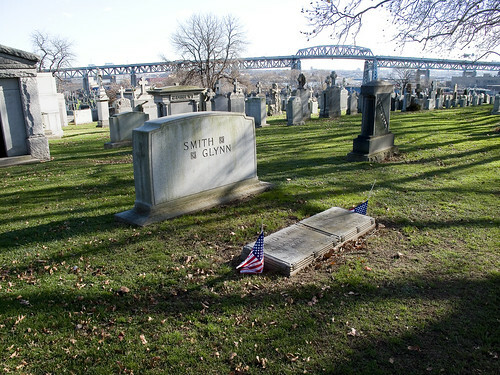 He lies in Calvary next to his wife, Catherine A. Dunn Smith. Alongside them are those generations that came to a city -of wooden clapboard walls rising from unpaved roads – and died in a shining metropolis of glass and steel towers accomplished by their labors. 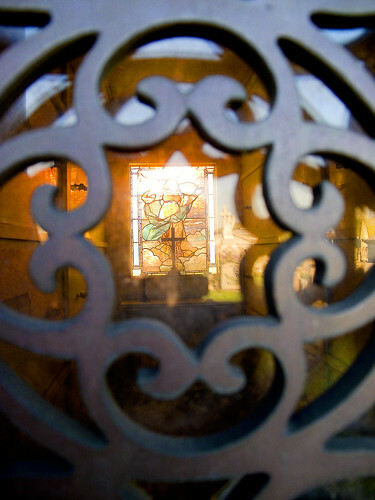 The great city of the age was built by those that lie in Calvary Cemetery, here in the muladhara of the Newtown Pentacle. note: the view of the Empire State Building, from the gravesite of Governor Smith, is obscured by more modern mausoleum monuments. In 1918, to the surprise of many, he was elected Governor of the State of New York. Although he lost the 1920 election, he ran successfully again in 1922, 1924, and 1926 – making him one of three New York State Governors to be elected to four terms. While Governor, he achieved the passage of extensive reform legislation, including improved factory laws, better housing requirements, and expanded welfare services. Additionally, he reorganized the State government into a consolidated and business-like structure. Governor Smith won the Democratic Party’s nomination for President of the United States in 1928. During his campaign he continued to champion the cause of urban residents. Behemoth, that which exists in the tower has never lived. An ideation of law, insulting to the biologic origins of true life, the corporation is undying and eternal. Founded in 1812 as the City Bank of New York, ownership and management of the bank was taken over by Moses Taylor, a protégé of John Jacob Astor and one of the giants of the business world in the 19th century. During Taylor’s ascendancy, the bank functioned largely as a treasury and finance center for Taylor’s own extensive business empire. In 1863, the bank joined the U.S.’s new national banking system and became The National City Bank of New York. By 1868, it was considered one of the largest banks in the United States, and in 1897, it became the first major U.S bank to establish a foreign department. In 1896, it was the first contributor to the Federal Reserve Bank of New York. National City became the first U.S. national bank to open an overseas banking office when its branch in Buenos Aires, Argentina, was opened in 1914. Many of Citi’s present international offices are older; offices in London, Shanghai, Calcutta, and elsewhere were opened in 1901 and 1902 by the International Banking Corporation (IBC), a company chartered to conduct banking business outside the U.S., at that time an activity forbidden to U.S. national banks. In 1918, IBC became a wholly owned subsidiary and was subsequently merged into the bank. By 1919, the bank had become the first U.S. bank to have US$1 billion in assets. In 1910, National City bought a significant share of Haiti’s National Bank (Banque de la Republique d’Haiti), which functioned as the country’s treasury and had a monopoly on note issue. After the American invasion of Haiti, it bought all of the capital stock of the Banque de la Republique. The bank became the target of criticism for what were considered to be monopolistic and unfair banking practices. It initially did not pay the Haitian government interest on surplus money that it deposited in the treasury, which was loaned out by City Bank in New York. After 1922, it began paying interest, but only at a rate of 2% compared to the 3.5% that it paid to similar depositors. Economist and Senator Paul Douglas estimated that this amounted to US$1 million in lost interest at a time when Haiti’s government revenues were less than US$7 million. On 24 December 1927, its headquarters in Buenos Aires, Argentina, were blown up by the Italian anarchist Severino Di Giovanni, in the frame of the international campaign supporting Sacco and Vanzetti. In 1952, James Stillman Rockefeller was elected president and then chairman in 1959, serving until 1967. Stillman was a direct descendant of the Rockefeller family through the William Rockefeller (the brother of John D.) branch. In 1960, his second cousin, David Rockefeller, became president of Chase Manhattan Bank, National City’s long-time New York rival for dominance in the banking industry in America. Leviathan, it challenges legendary Babel, speaking inchoate platitudes in all the tongues of man. From its high seat, an inhuman thing- hungering to metastasize its influence and prominence -gazes greedily upon gotham. Juggernaut, it leers at the manifest aspirations of both darkest night and the hopes of a most golden dawn, from across the river of sound. When it emerged a few weeks ago that the codename for a daring $13bn (£6.8bn) bond trade in Citigroup’s London office last summer was “Doctor Evil”, it must have been much more than exasperation felt by the chief executive of the giant bank, Chuck Prince. The grand strategy – to flood the European bond market and then rebuy at a lower price – had overtones of another fiendishly clever plan: the time when the top brains at Enron, using special vehicles known as “Deathstar” and “Ricochet”, took advantage of electricity blackouts in California to hike energy prices. Or maybe the Citigroup traders were thinking of their colleagues in Italy, who named a deal they struck with doomed food group Parmalat as “Bucerono” – black hole. Monolith, it is a sapphire dagger aimed at the heart of God, a cathedral of dark secrets and obscure transactions possessed of the power to topple governments and destabilize entire continents- in mere minutes. Cumbrous, this megalith is but one of the bothersome encumbrances- physical manifestations- of that unknowable thing dwelling here- which neither breathes- nor feels- or lives. …This time, though, the company in jeopardy is truly gigantic. Citigroup is the largest U.S. bank by assets, with $2 trillion on its books. 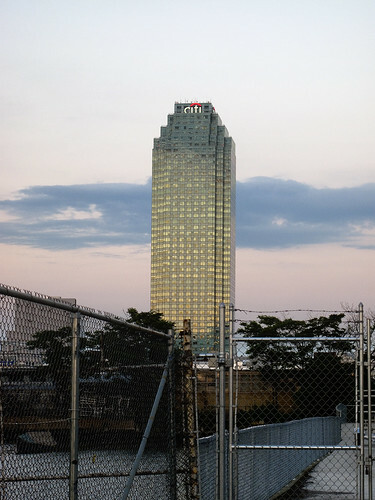 By contrast, Wachovia, which became the biggest bank to be done in by the financial crisis after being forced to sell itself to Wells Fargo this fall, has just over one-third as many assets. Citigroup engages in almost every form of financial transaction available to banks and investment firms, making it heavily involved with almost every other large financial institution in the world. It is also deeply integrated into the nation’s financial history. In the 1920s, a firm called First National City Bank started repackaging bad loans from Latin America and selling these to investors as safe securities. These investments collapsed in grand fashion after the 1929 stock market crash and eventually led to a new wave of securities regulation. National City Bank became Citibank, which in turn became a major unit of Citigroup. Citigroup has incurred billions of dollars in losses in the past 18 months, once again by partly repackaging bad loans into what were viewed as safe securities. Diabolic, an untold intelligence works through its army of rapacious acolytes, who interpret its wishes and act brutishly on its behalf. The megalith is a sky flung altar and testimonial to their faith. In Florida’s Everglades: In March 2007, Citi provided Florida Power & Light with $2.5 billion in financing. 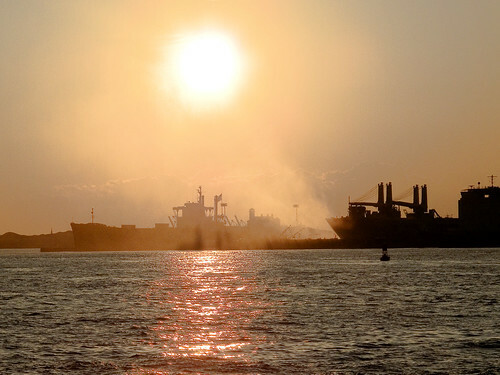 FPL is planning to build four new coal-fired power plants in Florida. Located in the heart of the fragile Everglades ecosystem, the Glades County plant would emit 16 million tons of climate-changing carbon dioxide, making it the largest single source of global warming pollution in the state. This plant is waiting on a recommendation from the Florida Utilities Commission. Learn more at Save It Now, Glades! In Iowa: In early April, Citi amended a financial agreement with Dynegy – the power and utilities company sponsoring the largest build-out of new coal power plants in the U.S. – that will bring its total financial support to $1.8 billion for a company proposing to build 12 coal-fired plants that will emit an estimated 53.3 million tons of C02 annually. This week, Dynegy-owned LS Power plans to apply for permits to build a 750MW coal-fired power plant just east of Waterloo, Iowa. This plant will spew carbon emissions equivalent to nearly a million new cars on Iowa’s roads over its 40-50 year lifetime and pollute eastern Iowa’s waters with heavy metals. Iowans are in a desperate fight to stop it. Pythonic, serpentine wires snake away from it- infiltrating all corners of the planet in the manner of some fearful Rhiozome– reaching out to its merciless disciples scattered across the nations to do its bidding. Crowned heads in Europe and in the Courts of the Orient favor the beast, unbound and loosed upon the earth. Voluminous, the megalith is the highest point on the Long Island, a great nail driven into the contaminant soil and through the heart of the Newtown Pentacle. 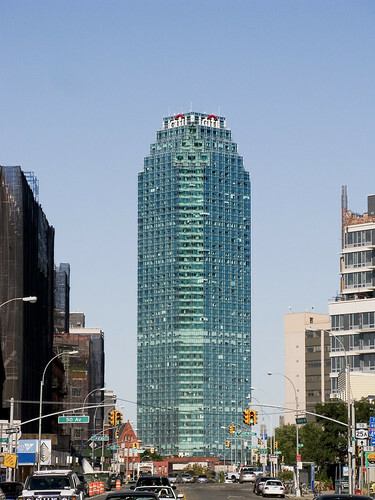 Its most famous office building is the Citigroup Center, a diagonal-roof skyscraper located in New York City’s Midtown Manhattan, which despite popular belief is not the company’s headquarters building. Citigroup has its headquarters across the street in an anonymous-looking building at 399 Park Avenue (the site of the original location of the City National Bank). The headquarters is outfitted with nine luxury dining rooms, with a team of private chefs preparing a different menu for each day. The management team is on the third and fourth floors above a Citibank branch. Smith Barney leases a building in the Tribeca neighborhood in Manhattan, the former headquarters of the Travelers Group and famous for its red umbrella sculpture. In a truly well planned strategy, Citigroup’s real estate in New York City, excluding the company’s Smith Barney division and Wall Street trading division, lie all along New York City’s ‘E’ and ‘V’ subway lines. 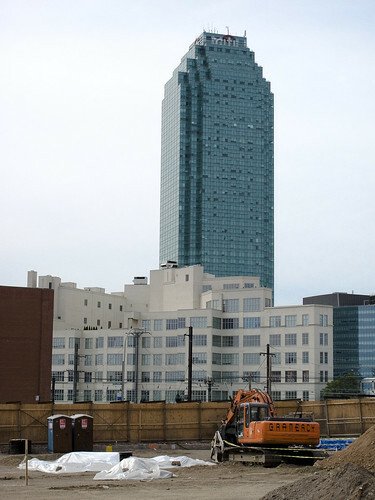 This means that the Midtown buildings the company inhabits — including 666 Fifth Avenue, 399 Park Avenue, 153 East 53rd street (Citigroup Center) and 1 Court Square (in Long Island City) — are all one stop away from each other. In fact, every company building lies above or right across the street from an ‘E’ or ‘V’ line subway station. Omniscient, the cyclopean thing in that sapphire obelisk fixes its burning gaze upon the world of men, and trying to avoid it is folly. 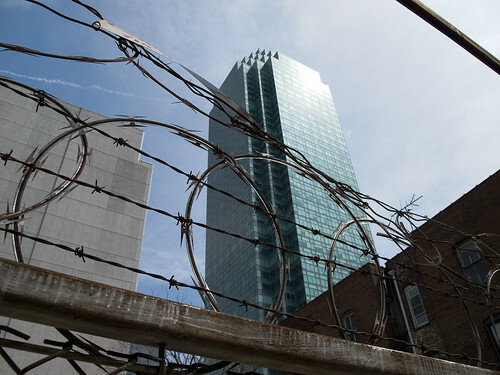 Citigroup operates in over 100 countries and, according to the Rainforest Action Network (RAN), which is spearheading the campaign against it, has a hand in some of the most destructive development projects in the world. In Africa, Citigroup acted as chief financial adviser for the Chad/Cameroon Oil and Pipeline Project, which will cut through a rainforest and indigenous lands. In China, Citigroup underwrote bonds for the Three Gorges Dam, which will displace around 2 million people and destroy a rare river ecosystem. As has been mentioned in the past, your humble narrator suffers from a serious health condition, which necessitates regular physical exercise be performed as a curative. These long walks around the Newtown Pentacle, prescriptive in their origins, have made me curious about the things I encounter. Notwithstanding the industrial wonders of Newtown Creek or that clockwork malevolence of marching progress evidenced in Long Island City, desire arises in my heart for quiet… peace… and the company of some semblance of nature. Here in northwestern Queens, the closest thing to a sylvan glade available to the public for peaceful perambulation are graveyards. 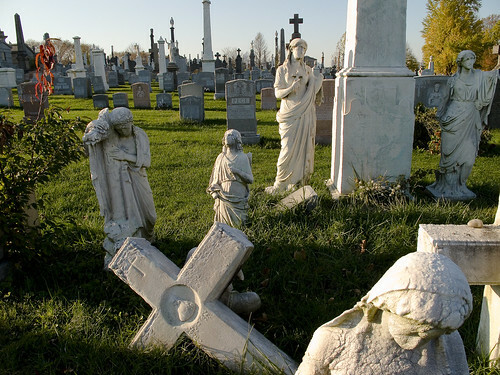 Despite my great affection for the viridian devastation of Calvary Cemetery, it is quite a long walk from ruby lipped Astoria to the blighted hillocks of Blissville, and in these days of approaching winter- the sun’s journey ends in late afternoon. Calvary will consume you, if you stray too far from the light, and the wise visit it early in the day. A mere half mile from Newtown Pentacle HQ, however, can be found St. Michael’s. 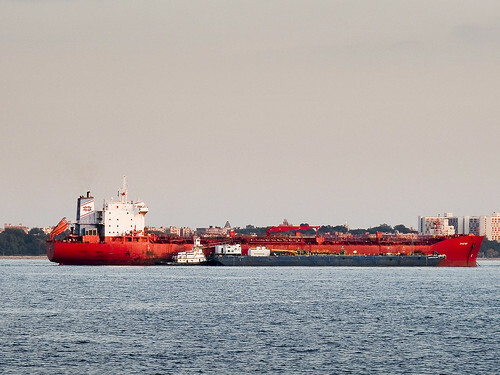 88 acres of manicured grounds, St. Michael’s is an island of calm in the middle of Astoria. 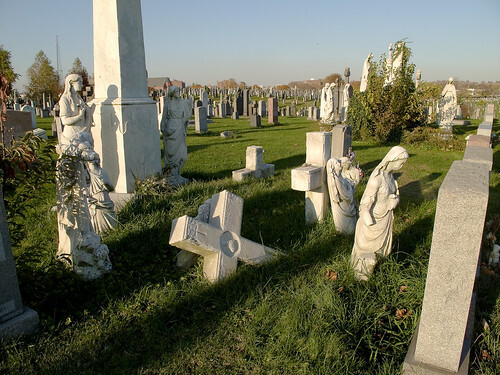 Unlike Calvary, St. Michael’s is a nonsectarian burial ground, and exhibits the legendary diversity of populations for which Queens is renowned worldwide within its loamy depths. 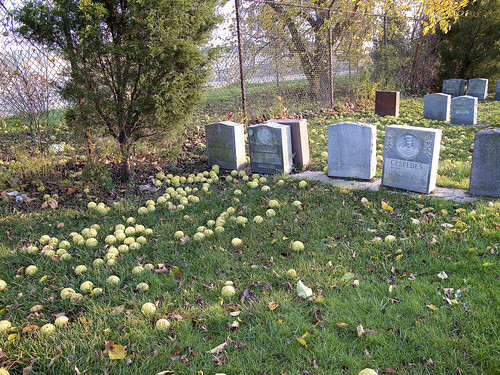 Recently, on one of my ghoulish walks around the place, I encountered strange fruit. 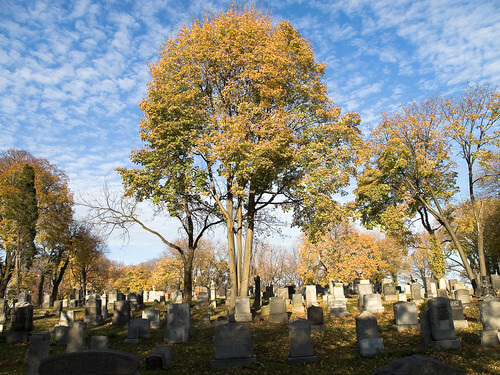 The original property for St. Michael’s Cemetery was purchased in 1852 by the Rev. Thomas McClure Peters and occupied seven acres. Over the years St. Michael’s gradually acquired additional land to its present size of approximately eighty-eight acres. Because it was Dr. Peters intention to provide a final dignified resting place for the poor who could not otherwise afford it, areas within the cemetery were assigned to other free churches and institutions of New York City. These areas are still held for the institutions they were assigned. 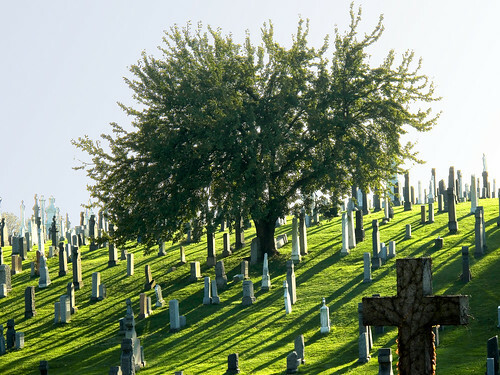 As a service to its diverse constituency, St. Michael’s continues to this day provide burial space for individuals and families from all classes, religions and ethnicities. 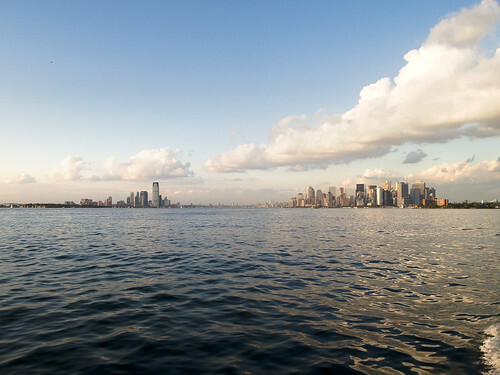 St. Michael’s reflects the demographic and historical trends of New York City. 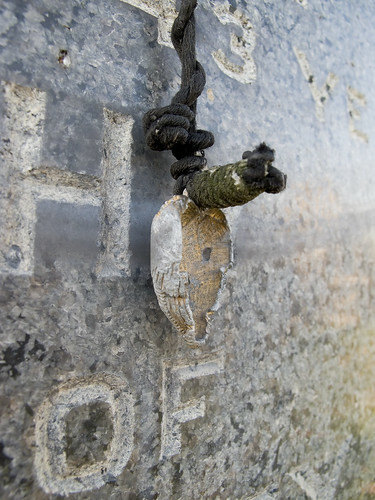 Walking through the older sections of the cemetery, you will find burials representing the 19th and early 20th century immigrants. 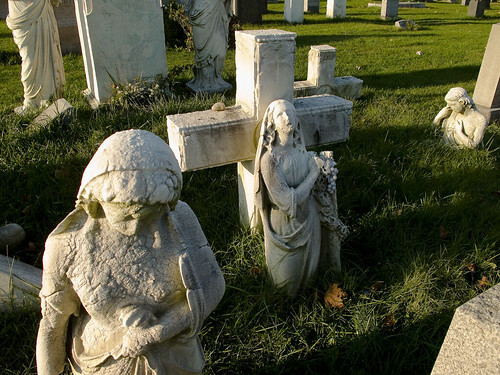 In the late 1980’s St. Michael’s began building community mausoleums in order to more efficiently utilize the remaining unoccupied space and offer attractive, affordable final resting places. Currently, we are planning a new mausoleum complex at 49th Street and Grand Central Parkway Service Road. About the size of an orange, or large apple, the ruggose skin of the fruit had a sickly yellow-green coloration. Abundant, the fallen spores were obviously in season. 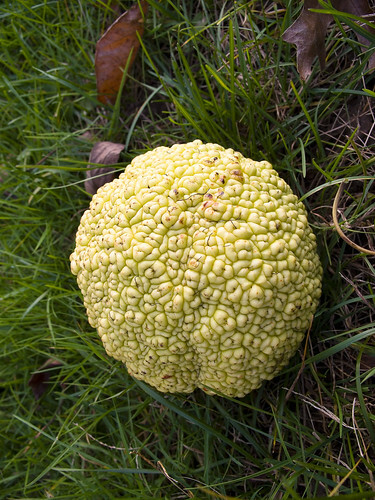 Ignorant of the specificities of arborial lore, nocturnal researches of North American cultivars suggested that this sort of ovum was typical of an Osage Orange- Maclura pomifera to those in the know. Osage-orange, Horse-apple, Bois D’Arc, or Bodark (Maclura pomifera) is a small deciduous tree or large shrub, typically growing to 8–15 metres (26–49 ft) tall. It is dioeceous, with male and female flowers on different plants. 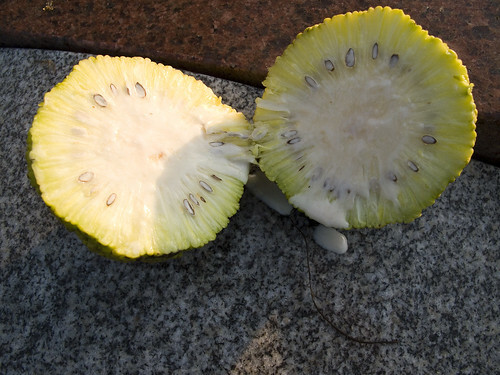 The fruit, a multiple fruit, is roughly spherical, but bumpy, and 7–15 cm in diameter, and it is filled with a sticky white latex sap. In fall, its color turns a bright yellow-green and it has a faint odor similar to that of oranges. Osajin and Pomiferin are flavonoid pigments present in the wood and fruit, comprising about 10% of the fruit’s dry weight. The plant also contains the flavonol morin. Recent research suggests that elemol, another component extractable from the fruit, shows promise as a mosquito repellent with similar activity to DEET in contact and residual repellency. An important plant to the native american cultures, the Osage Orange tree produces wood which is dense and fibrous, ideal for the body of a Bow and it is one of the highest rated “fuel woods“. Resistant to insect and fungus, Osage wood is also prized for use in fenceposts. It grows in the form of a dense thorned thicket surrounding the central trunk, and produces the “orange” which is largely passed over by mammalian scavengers like Squirrels and Raccoons. Prized by Horses and Mules (horse apples), the original range of the tree was confined to the southwest, but its value as a hedge plant and naturally replenishing cattle fence was instrumental in it being planted all over North America. Like all fruiting plants, an animal conspirator is required to complete the life cycle of the Osage Orange, expanding its range via the digestive processes of a ranging forager. Ever efficient, nature would not waste its time producing an energy rich fruit that attracts no living animal to it. Theories abound as to the identity of this partner organism, and an extinct equine is one of the evolutionary vectors theorized to have played this role for the Osage (thought likely due to the browsing preferences of modern Horse and Mule), but an intriguing notion is put forth by Connie Barlow of Harvard’s Arnold Arboretum who offers the theory that the anachronistic fruit of the Osage Orange’s partner animal was in fact a long extinct North American Elephant- the Mammoth. Practicers of the left handed path of forbidden knowledge prize Osage wood for usage in wands, believing it to be useful when invoking mysterious spirits emanating from the bowels of the earth- those never human elemental intelligences, and the spirit animal guides associated with Native American Shamanic beliefs. Osage-Orange is a native tree coming from a relatively small area in eastern Oklahoma, portions of Missouri, Texas and Arkansas. While used for centuries by native Americans in its original area for war clubs and bows, it was the first tree Lewis and Clark sent back east from St. Louis in 1804. Yet, with that modest beginning, the Osage-Orange probably has been planted in greater numbers throughout the United States in the 19th and early 20th century than almost any other tree species in North America. Because of its value as a natural hedgerow fence, it made agricultural settlement of the prairies possible, it then led directly to the invention of barbed wire in 1874, and then provided most of the posts for the wire that fenced the West. It is still considered the best wood for making archer’s bows. The Osage-Orange is one of America’s more interesting natives. 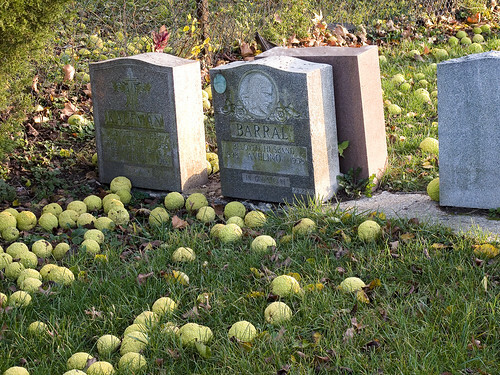 It has at least two Internet web sites dedicated to keeping Osage-Orange enthusiasts informed (see www.osageorange.com and www.hedgeapple.com). Today’s fun is a chunk of H.P. 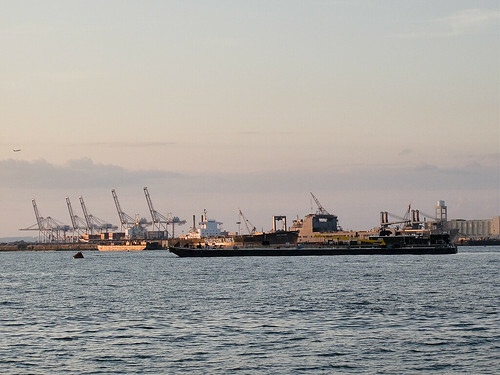 Lovecraft’s The Call of Cthulhu, with photos I shot at the Working Harbor Committee September 15th Sunset tour. For the whole story, at wikisource.org– click here. …I suppose that only a single mountain-top, the hideous monolith-crowned citadel whereon great Cthulhu was buried, actually emerged from the waters. When I think of the extent of all that may be brooding down there I almost wish to kill myself forthwith. Johansen and his men were awed by the cosmic majesty of this dripping Babylon of elder daemons, and must have guessed without guidance that it was nothing of this or of any sane planet. Awe at the unbelievable size of the greenish stone blocks, at the dizzying height of the great carven monolith, and at the stupefying identity of the colossal statues and bas-reliefs with the queer image found in the shrine on the Alert, is poignantly visible in every line of the mate’s frightened description. The Association for Gravestone Studies makes available this pdf file of a 19th century monumental bronze catalog, incidentally, as well as this discussion of “White Bronze“. 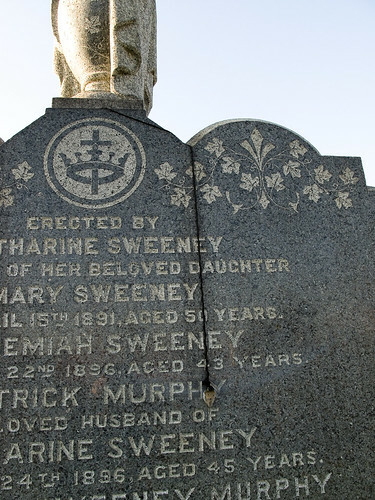 Unlike the celebrated O’Brien clan, whose final destination is found closer to the apex of Calvary’s hills, the Sweeneys are shadowed by time. Social standing and class status drove the generations buried up here to seek a favorable and expensive bit of real estate, away from the common rabble and poor being laid into marshy trenches at the shallow of the hill in their thousands, and to lie for eternity with “their own kind”. 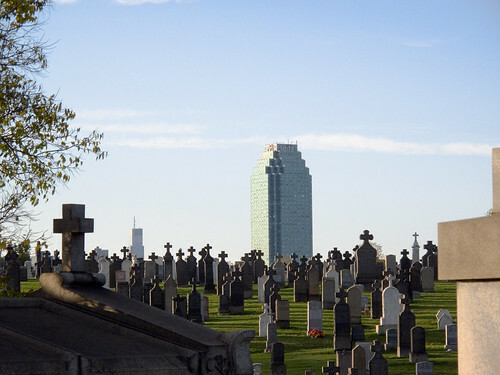 The princes of the City, and their courts, lie in Calvary Cemetery– not far from worm scarred timbers whose titan bulk restricts an elixir of extinction known as the fabled Newtown Creek from mingling with the blessed soils of Calvary. Unguessable springs of subterrene putrefaction percolating with horrors beyond the grave’s holding flow still beneath the streets of Newtown- vestigial streams and waterways that are imprisoned in masonry and brick tunnels. Directly mixing, in hideous congress, the liquefied effluvia of the long dead found in the hydrologic column of Calvary with the exotic chemistries of Newtown Creek? Who can guess would result? 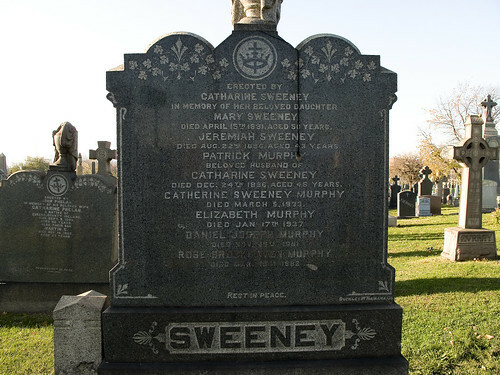 Whoever the Sweeneys were, their family plot is located in a fairly exclusive area of the 19th century’s ex-population, and pretty close to the top of a hill. 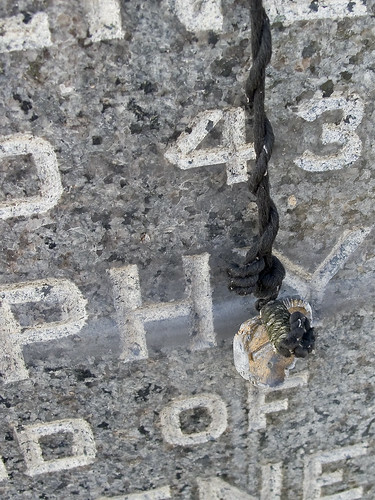 What’s odd here, and remarkable, is the enigmatic knots of this token affixed to the Sweeney monument- a trinket which had obviously weathered more than one change of season. Unknowable implications are suggested by the urgency of this arcane reference found in the New York State Cemetery Law. Symbolic gifts to the dead and the placement of totemic representations at graves are expected behaviors, when confronted with the brutal truth of mortality, from individuals who experience the death of a family or peer group member. 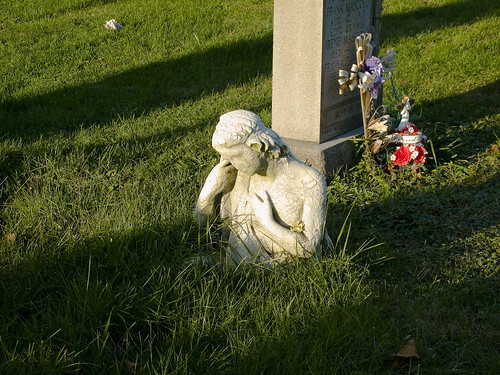 Every cemetery in the area, the sheer acreage of which -in this case- can be observed from space, has posted regulations on appropriate and allowed markers and monuments. Certain obtuse expressions of grief are disallowed due to the necessary maintenance and landscaping of the grounds, and good taste is enforced. 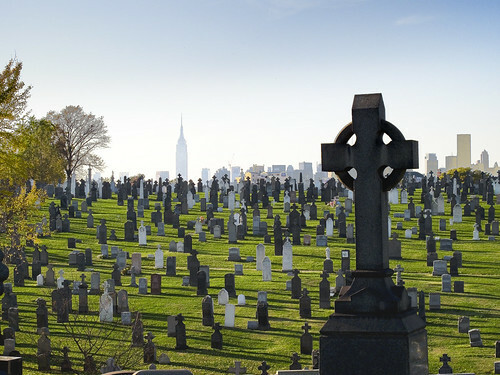 Another odd set of provisions is found in the Penal Law section of the aforementioned codification of New York’s cemeteries. Noticing that that the oddly complex knotting of the cord implied commonality with the nearby red and blue knotted cords, I decided to have a closer look. There was a second color of cordage in the knots, a dirty and weathered yellow which was only present in one spot. The pendulum which the arrangement supported was either cheap electroplated metal or some sort of ruggose plastic. It was a sort of cartouche, an amulet shaped in a manner commonly recognized as a heart, suspended by a twisted tendon of oddly knotted string. Suspicious that this might be something other than innocent, and knowing the predilection of certain groups for the usage of bodily liquids in their rites, your humble narrator used a trusty all in one Leatherman brand tool to examine it further. It is important, when walking in the hallowed grounds of Calvary, to try not to touch anything lest something touch you back. Things found there, if they can catch the smell of you, might follow you home and demand to be fed. Also from New York State, a manual for the new treasurer, a business plan and model to follow for the mortuary industry’s promise of “Perpetual Care”.